Loyola University New Orleans will celebrate the 50th Anniversary of Walker Percy’s novel, “The Moviegoer,” by hosting a conference about the Southern writer today through Sunday, Oct. 16 on its main campus. Walker Percy, a prominent Catholic novelist, taught at Loyola during the 1970s, and several of his former students will be returning to honor the author and the novel. The conference, which is open to the public, began today in the J. Edgar and Louise S. Monroe Library and will offer a variety of panel topics focused on Percy’s best-known novel—its contexts, its effects, its influences and its place in American and Southern literary history. Registration is in the “Living Room,” located on the first floor of the library. A reception on Friday evening at 5 p.m. will be followed by keynote speaker Jay Tolson at 6 p.m., one of Percy’s most respected biographers and a lively commentator on contemporary culture, politics, society and religion. Both the reception and the keynote take place in the Audubon Room, located in the Danna Student Center. 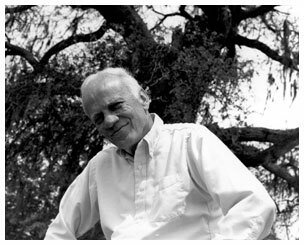 Tolson's 1992 biography, “Pilgrim in the Ruins: A Life of Walker Percy,” won the Southern Book Award and the Hugh Holman Prize for outstanding scholarship in Southern literary studies. He also edited “The Correspondence of Shelby Foote & Walker Percy” and is currently the news director of Radio Free Europe/Radio Liberty. The conference culminates on Saturday at 6 p.m. in Nunemaker Auditorium with a showing of Win Riley’s new movie, “Walker Percy: A Documentary Film,” which follows Percy's life from his youth to his prolonged hospitalizations for tuberculosis during World War II, and to his eventual success as a novelist. He was a doctor who turned to literature and philosophy, and at the center of the film is an examination of Percy's move from agnosticism to faith. Loyola provided key financial support in the production of the film, which premiered on PBS on Oct. 4, and is credited in the documentary. An optional visit to St. Joseph’s Abbey in Covington, where Percy is now buried, is planned for Oct. 16. The trip will include Mass for those who wish to attend, and a visit to Percy’s grave. A bus will depart from the Marquette Horseshoe at 8:30 a.m. Throughout his writing career, Percy was an advocate for young struggling writers. The Walker Percy Center for Writing and Publishing was established at Loyola University New Orleans in 2010 to foster literary talent and achievement and to highlight the art of writing as essential to a good education by providing educational and vocational opportunities in writing and publishing. For more information or to register, visit http://loyno.edu/wpc/conference. Additional questions can be directed to the Walker Percy Center at 504-865-3389 or wpc@loyno.edu.